20µC and the capacitor C2 is uncharged. The switches S1 and S2 are closed at the same time. 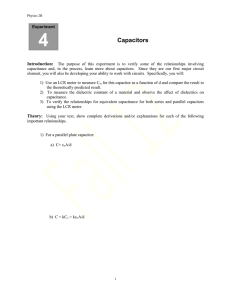 a) The capacitance of capacitor ______________. b) Potential difference across the plates _____________. 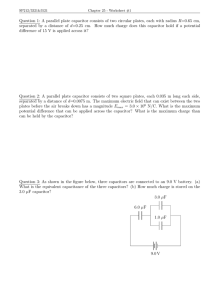 c) Charge of capacitor ______________. The capacitance of capacitor ______________..
a) final charges of each capacitor. difference across the plates _____________. 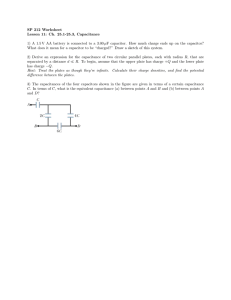 c) the energy stored in the capacitor C1. 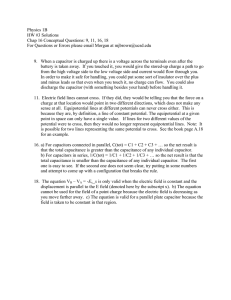 c) Charge of capacitor ________________. d) The electric field between the plates _____________. d) The electric field between the plates ____________. has a charge of 20µC and the capacitor C2 is uncharged. S1 and S2 are closed at the same time. 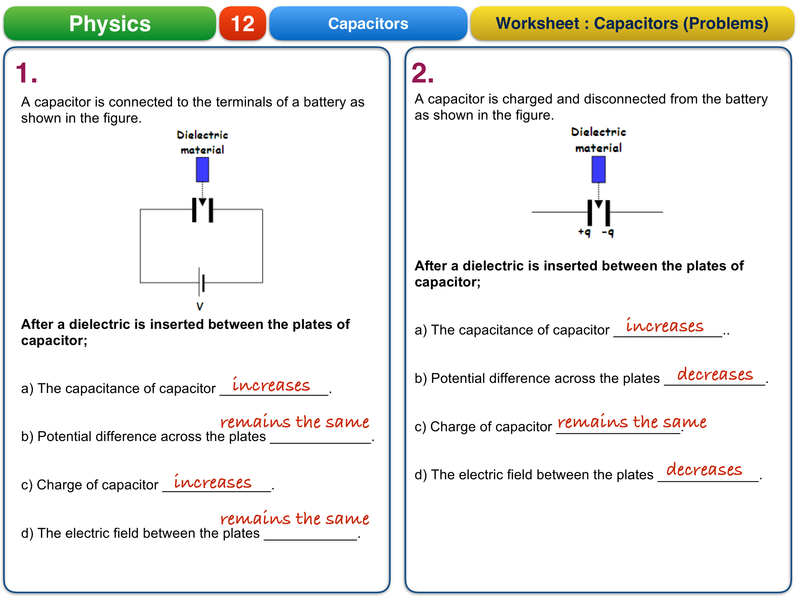 a) The capacitance of capacitor ______________..
voltsfield between the plates _____________. is change in the charge of C1? d) The charge stored on each capacitor. e) The electric potential energy of the system. of C1 and the system is again fully charged. 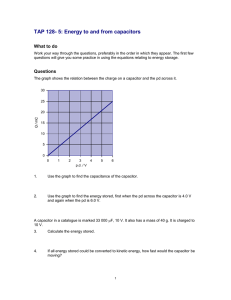 a) What is change in the charge of C1? b) What is change in the potential of C1? 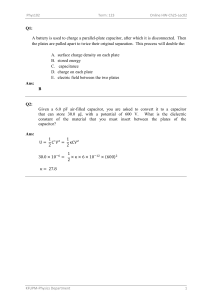 c) How does the charge of C2 change? Why? when both switches are closed? 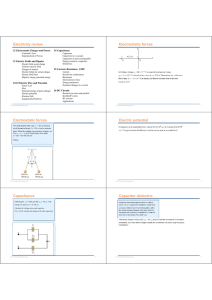 capacitance of the circuit is 6 µF. Calculate the ratio of Q1/ Q2? between points K and L? Their charges are the same.